Kim is a Bay Area native and a true adventurer and philanthropist at heart. She is a Monterey Bay trained Scuba DiveMaster, an avid snow skier who, as of this year, has made it down the mountain safely from her 31st ski resort. She has traveled to more than 25 countries, has hang-glided over the Australian coastline and once jumped out of a "perfectly good" airplane at 14,000 feet. Her biggest and most important leap to date was that of her marriage to Ross, whom she met at a charity event here in Mountain View 22 years ago. She and Ross currently reside near Castro Street in Downtown Mountain View. Kim has a BA in Communication, Telecommunications & Broadcasting and began her foray into the world of High-Tech Sales here in Mountain View. 15 years ago Kim took her passion for working with people and her experience in Marketing & Sales negotiations to the real estate industry. 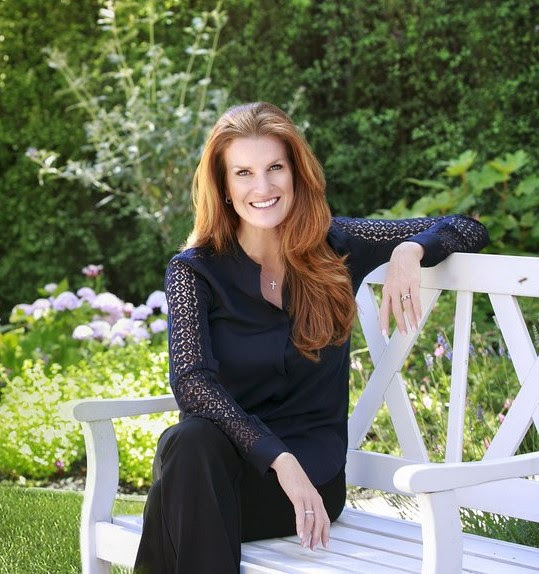 She is with Coldwell Banker in Los Altos, where she has earned the International President’s Circle designation for top producers in the state of California, as well as the 2014 award for Philanthropy for all of Coldwell Banker Silicon Valley. She is currently on the Board of the newly founded Mountain View Public Safety Foundation, a member of the Downtown Committee, an advisory group to the Mountain View City Council, Past Chair of the Board of Directors of the Chamber of Commerce, a co-chair for the Chamber’s annual Art and Wine Festival, and a Los Altos Rotarian. She is a graduate of Leadership Mountain View Class of 2013 and currently serves on the LMV Advisory Council. Being involved as an LMV student in 2013 deepened her knowledge of the city and broadened her sense of local leadership by creating a common sense of purpose, and an environment within which we can all thrive and deliver that common purpose. As the new LMV Director, she is excited to further this expansion of knowledge and appreciation of the city of Mountain View to our Class of 2019 and to continue to pay this leadership journey forward. Kim believes that "anyone, anywhere, can make a positive difference" (Mark Sanborn). In 2016, Kim was the recipient of the Chamber of Commerce Business Person of the Year Award. She has volunteered for Community Services Agency, Habitat for Humanity, Relay for Life, Hands on Bay Area, Rotocare and Random Acts of Flowers. A huge “living in Mountain View” proponent, Kim looks forward to working with her friends, clients, colleagues and neighbors to continue to make Mountain View a wonderful city in which to live and work.